“In the military art there is no discipline more beautiful of this of the Horses, which is not only adorned with beautiful effects; but it is necessary and of great value.” This is the beginning of the first printed book dedicated to horseback riding. Written in 1550, this model, established by Federico Grisone in his The Rules of Riding, was followed by many other authors and the initial apologia of the equestrian art became commonplace in equestrian treatises. 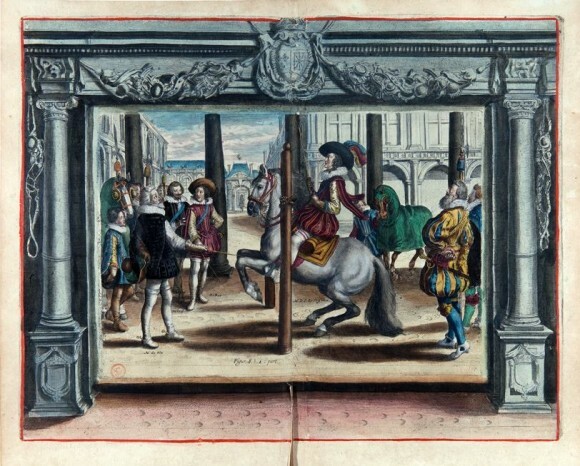 Although in some instances, these panegyrics are tangled in a nearly incomprehensible and convoluted style, they however represent a source of very interesting ideas for the modern reader because they offer a perspective on how mankind narrated and motivated over the centuries his millennial passion for horses. 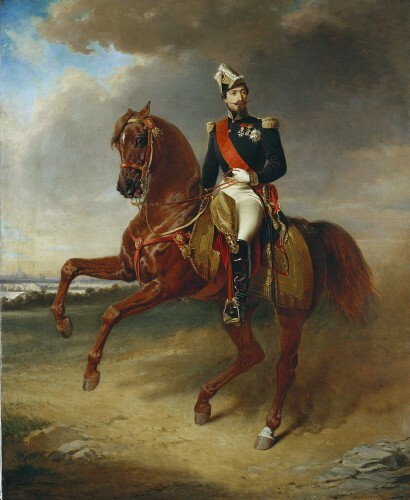 the use of the horse is very helpful to the health of the body; since it is a very noble and moderate exercise of almost all limbs, as in mounting a horse each limb is used separately and the whole body all together, with an incredible proportion of motion that is impossible to put into words. […] Riding also generates cheerful humor and banishes melancholy, which is a very bad and very harsh humor in the human body. 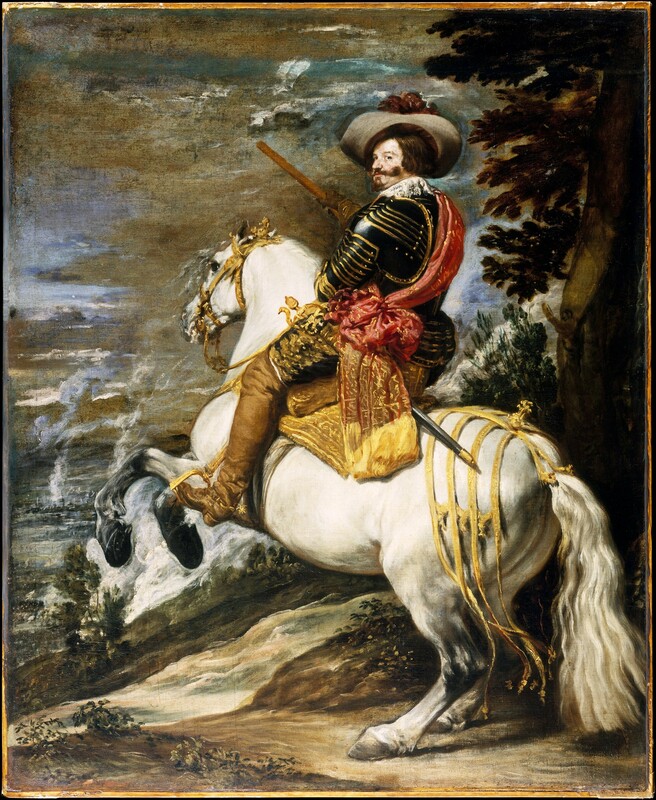 And this you can easily see, by considering that anyone who is oppressed by any great sorrow feels very much relieved when riding a horse who satisfies him (CORTE, 1562, p. 11v). And that it is true you can see in considering that without the horse it would be difficult to enjoy that great pleasure and happiness, which the view of the countryside away from the tumult of the city and the goodness of the weather and the serenity of the sky give to men, being impossible to go there on foot without a lot of effort and discomfort, which would take away the pleasure, either in whole or in large part (CORTE, 1562, p. 13v). that makes us a better people. If this was true at a time when the horse was also used as a means of transport, it is perhaps even more so today. The practice of equestrian sports imposes on modern man, whose life is marked by the rhythms of technological society, the urge to carve out a moment in his day devoted to contact with nature. For that alone, riding is an activity that makes us a better people. 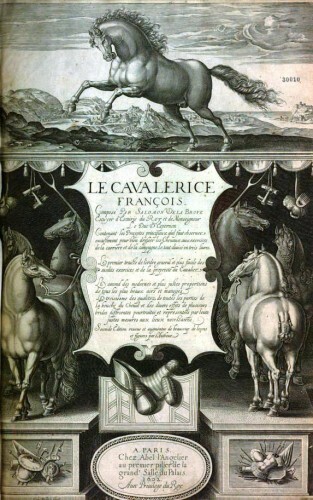 The spiritual dimension of horseback riding is further emphasized in the first treatise in French: Le Cavalerice François, by Salomon de La Broue. According to the author, the study of the nature of the horse and the practice of the means to tame and train him for war, or for the use in jousts and tournaments, changes the rider, enhancing his best qualities. Because to fully master such a vigorous and proud animal, the horseman must be naturally ingenious, patient, brave and strong. 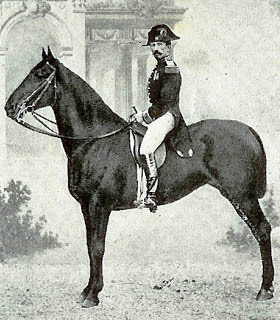 In addition to this, it is necessary that the long experience of the best schools that teach this exercise has given him a knowledge such that he can judge well the mood and disposition of the horse to industriously profit of the good effects of the same horse’s nature (LA BROUE 1602, p. 3). emphasizes the spiritual dimension of horsemanship. I think it never happens that the perfection of such knowledge is communicated to certain weak and coarse spirits who profane it every day apparently attributing the honor of such competence to themselves and letting the ignorant admire them (LA BROUE 1602, p. 3). These arguments are further developed in the subsequent work by Antoine de Pluvinel, L’instruction du Roy en l’exercice de monter à cheval (1625). 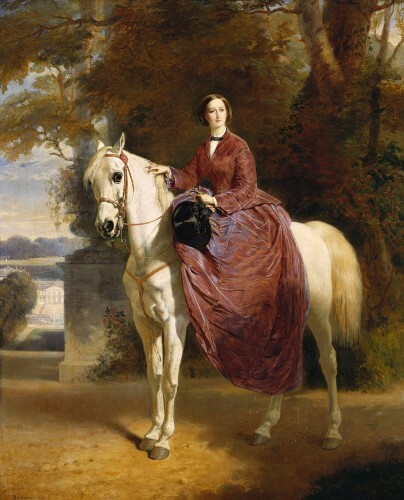 In this work, horseback riding is described as assuming the character of a true spiritual gymnasium. 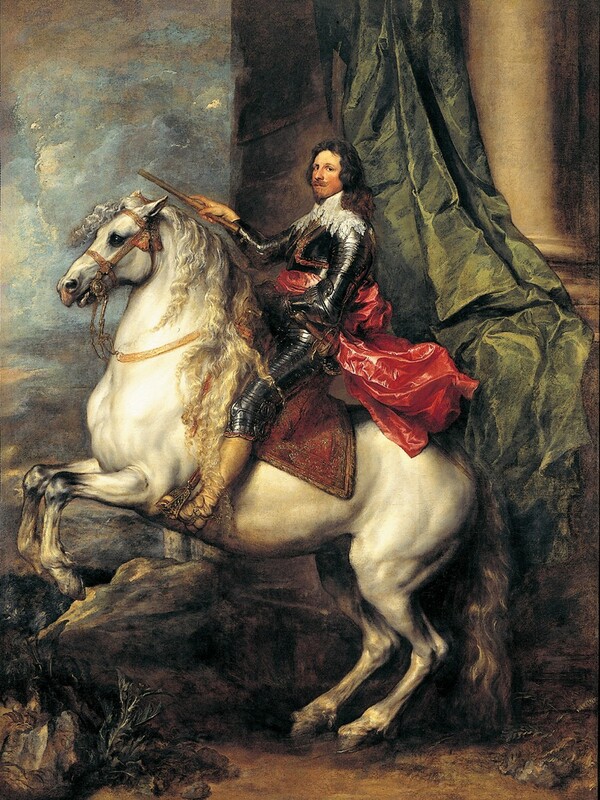 Indeed, while one can learn the sciences and other arts in a state of calm and with no other concern than to apply to the study, the equestrian art can be learned only by mounting a horse, which is to say, deciding to suffer all the extremes that can be expected from an irrational being. The rider must, in fact, face his mount’s fears, anger and laziness, while overcoming at the same time, his own concern about the dangers to which he is exposed. According to Pluvinel, the rider can overcome these difficulties only through knowledge and the firmness of his judgment, maintaining the same calmness and readiness with which the student tries to learn something from a book, but while in the midst of danger. By this, your Majesty may know very clearly in which sense this beautiful exercise is useful to the spirit, because it educates it and accustoms it to execute with precision and order all of these functions between the hassles, the noise, the agitation and the continuous fear of danger, which are like an encouragement to make it capable of performing the same tasks between the arms and in the middle of the dangers that you meet in a battle (PLUVINEL, 1625, p. 3). In short, by riding horses we become accustomed to facing difficulties and dangers, while maintaining self-control, thanks to the knowledge and serenity that comes from our experience. Pluvinel emphasizes the importance of this exercise in the military and political field, but the modern reader can easily grasp its existential value: while getting used to facing problems and risks, keeping our nerve and making quick decisions on the basis of our own experience, it is useful not only on a battlefield, but in everyday life. Antoon Van Dyck, Portrait of Tommaso di Savoia Carignano, 1634, Torino, Galleria Sabauda. When sometimes our spirit is jammed by lazy cares and slow torpor, this obedient, fast, and elegant animal shakes our burdened senses, rekindles the languishing genius in us and awakens the activity, without which even the most useful, and bright works remain unattempted (MAZZUCCHELLI, 1805, pp. 7-8). a very special feeling called equestrian tact, which is the ability to recognize the nature of the good or bad contractions of the horse and that inspires the appropriateness and moderation of the horseman’s actions. This feeling that the work develops, but cannot generate, it is so necessary to the horseman, that is to say the rider-artist, like the feeling of the color is essential to the painter and the feeling of the harmony of sounds to the musician (L ‘HOTTE 1906, pp. 201-202). can really excel in horseback riding. Let us finally add a personal remark to this brief survey of the arguments used by the authors of equestrian treatises to describe the peculiarity of horseback riding. Being based on the confrontation between two living beings, riding is an experience that is perpetually renewed. Each horse, in fact, has his own temperament, his physical conformation and a particular sensitivity, a degree of training and therefore a different ability to interact with human beings. For this reason, on every occasion on which we ride a new horse, we live a profoundly different experience. On the other hand, simply because we confront ourselves with a living being, even riding the same animal, we live each time a different experience. Each rider has experienced, at least once, the exciting feeling of a perfect reciprocity with his horse: the heady giddiness of an ineffable communication with the animal, which makes it possible to perform, without apparent effort, exercises that up to then seemed very difficult. Those are the moments when the horse responds promptly to the imperceptible aids of his rider, nearly foreseeing his intentions and happily complying with them. However, generally enthusiasm is soon replaced by disappointment. The next day, the rider comes back to the barn, being sure to live again the ecstasy of that miraculous ride, but he soon realizes that, even if the conditions are apparently the same, the magic does not repeat, the connection with the animal appears less immediate, the gestures are more mechanical and the man’s intentions cannot be so easily translated into the horse’s attitudes. The rider feels his body inexplicably heavy and clumsy. And the animal, that just the day before was full of energy and sensitivity, seems rather unwilling and insensitive to the aids. The result is not up to the previous one. There is no denying that to realize this, it is often very bitter. The failure, however, inevitably nourishes the desire to rediscover the joy of those moments of enthusiasm. The initial dejection is soon replaced by the desire to try again and to improve. This seesaw of opposing emotions fuels our passion. Of course, between one ride and the other (except in cases of accident, or illness) nothing definitive happened. The rider has not forgotten how to ride, nor has the horse suddenly been deprived of his qualities. The fact is that every ride is the result of a complex relationship between living beings that influence each other. For this reason, the rider cannot help but wonder if the cause of his temporary failure is due to his own unaware fault, or to a change in the physical, or mental condition of the animal. It is most likely due to both and to a remarkable series of further concomitant factors, which make it impossible to reduce the issue to a mechanistic relation of cause and effect. On the other hand, it is precisely the variety of sensations that each ride gives us, pointing out new goals to achieve, which makes the equestrian practice an activity in which it is substantially impossible to become bored. And this applies for all riders. Even for the best. 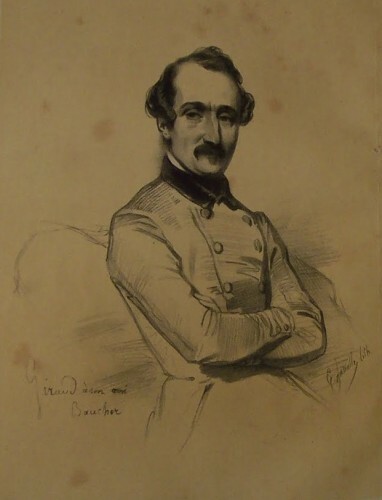 Once General L’Hotte confessed to his master, François Baucher, that he was never completely satisfied with the training of his horses. Baucher looked at him with his piercing gaze and replied with a smile: “But it will always be like this; it always remains something to desire” (L’HOTTE 1906, p. 209). GRISONE, Federico, Gli ordini del cavalcare, Napoli, Giovan Paolo Suganappo, 1550. LA BROUE, Salomon de, Le Cavalerice François, Paris, A. l’Angelier, 1602. PLUVINEL, Antoine de, L’instruction du Roy en l’exercice de monter à cheval, , Paris, M. Nivelle, 1610.